SSG Bryan Black of the 3rd Special Forces Group was killed on Wednesday, October 4, 2017 in Niger as a result of hostile fire. He was a member of a U.S. Army Special Forces detachment conducting a reconnaissance patrol along with host nation military forces. The SF team and Nigerien troops were in southwestern Niger near the Mali border when they were attacked by a militant group of 50 plus fighters. Two other U.S. Soldiers were killed and two detachment members were wounded. The wounded were evacuated from Niger and transported to Landstuhl Regional Medical Center in Germany. Black, age 35, was from Puyallup, Washington. He graduated from Puyallup High School in 2000. He was very competitive even at a young age. While in the sixth grade he was a scholastic chess player and tied for second in the nation for his grade. He also excelled at athletics; especially wrestling where he went to the state championship during is senior in high school. Prior to joining the Army he attended college, worked in the construction trades, and was a ski instructor. He enlisted in the Army in 2009. He was serving as a Special Forces Medical Sergeant (18D). The 3rd Special Forces Group is based at Fort Bragg, North Carolina. His awards and decorations include the Army Good Conduct Medal, National Defense Service Medal, Global War on Terrorism Service Medal, Army Service Ribbon, Special Forces Tab, Ranger Tab, Parachutist Badge, Air Assault Badge, and Marksmanship Qualification Badge. Black, and the three other Soldiers who die alongside him, were part of a long-term military mission to North and West Africa to provide advise and assistance to regional security force counter-terrorism operations by the 3rd Special Forces Group. Black was assigned to the 2nd Battalion, 3rd SFGA. Funeral Arrangements are pending but he will be buried at Arlington National Cemetery at a later date. DoD Identifies Army Casualties, DoD, October 6, 2017. 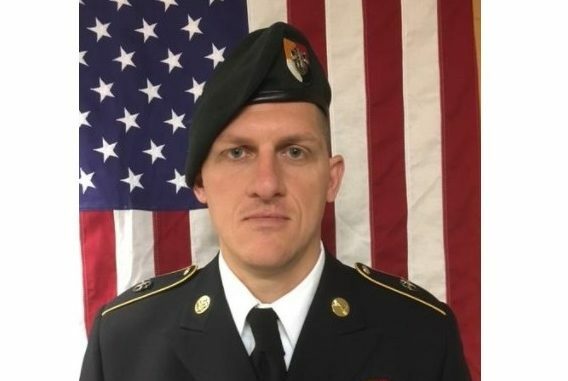 Puyallup soldier among Green Berets killed in Niger, The News Tribune, October 6, 2017. Somber mourners pay respects to fallen Fort Bragg soldiers, Fayetteville Observer, October 16, 2017. Special Forces soldier remembered in Fayetteville ceremony, The Fayetteville Observer, October 18, 2017. Three Green Berets Killed in Niger, SOF News, October 4, 2017. Special Forces in Niger – Countering Terrorist Groups, SOF News, October 4, 2017. Africa and 3rd Special Forces Group, SOF News, July 9, 2017.